Dubai: A home right on the beach from just under Dh2 million? Or a villa with its own boat mooring spot at Dh4 million and above? At the recently launched “Marsa Meydan” development in Jebel Ali, you can. Meydan is giving a fresh twist to the “affordable luxury” theme and that too right on Dubai’s beachfront, historically one of the costliest spots in the city. Geography has played a part in fixing a price point much lower than what exists at Dubai’s waterfront neighbourhoods. And with the landscape being favourable, it would have a bearing on construction costs as well. Marsa Meydan takes up a swathe behind the Jebel Ali Hotel, one of Dubai’s landmarks from the early 1980s. 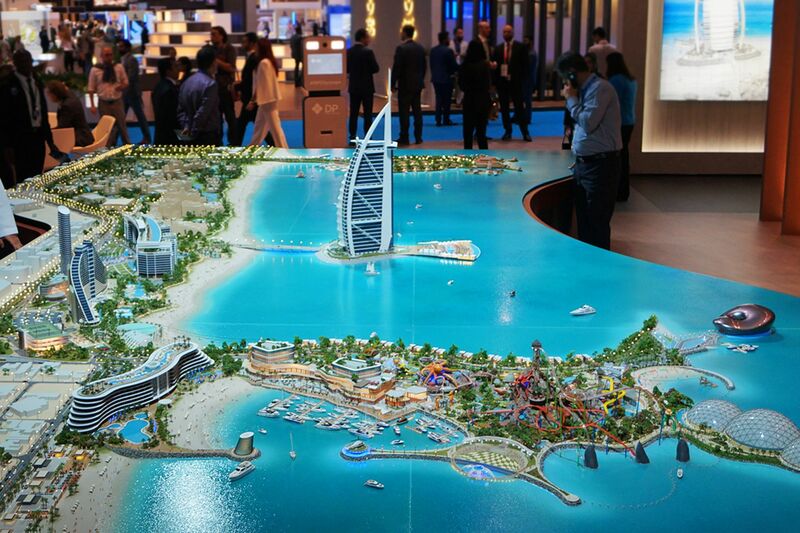 “Rather than going into the beach and creating additional islands, there was this opportunity to create a new destination by bringing the water into existing land,” said Mohammad Al Khayat, Vice-president for Commercial and Free Zone at Meydan. “When Dubai Marina was built, the developer (Emaar) punched a canal into the land and then back again into the sea. There is a natural flushing. “In our case, the land is a bit rocky, a bit solid, which makes excavating an easier process. You don’t need to compact the land. And because the location is slightly elevated from the sea level — by one to two feet — we need minimal hydraulics to make the flushing of sea water work for us. Marsa Meydan was one of two high-profile projects launched at Cityscape earlier this month, Dubai Holding’s super-premium Madinat Jumeirah Living being the other. Meydan had acquired the land earlier this year and all of the necessary approvals were gone through quickly enough. The masterplan, according to Al Khayat, is “90 per cent done” and will create “9-11 kilometres of additional beach”. “What that means for buyers at Marsa is they have a beach in front of their homes and not concrete walls,” he said. Though the impression in property circles is that Meydan could have fixed a higher price point on the Marsa homes and still be able to sell without even breaking into a sweat, Al Khayat says a high premium is not the intention with this project. “At Dh1.9 million, a three-bedroom townhouse can be had at more or less similar to one at a gated community such as Arabian Ranches,” he said. “The townhouses will not be overlooking the beach directly — but owners will only have one road separating them from it. At Marsa, there will be just under 200 villas and the townhouses under 300 units. The developer is calling in letters of interest for these. Meydan is no stranger to water and water-side projects. It has equal ownership in the Dubai Water Canal, with the other half with another of Dubai’s master-developers, Meraas. 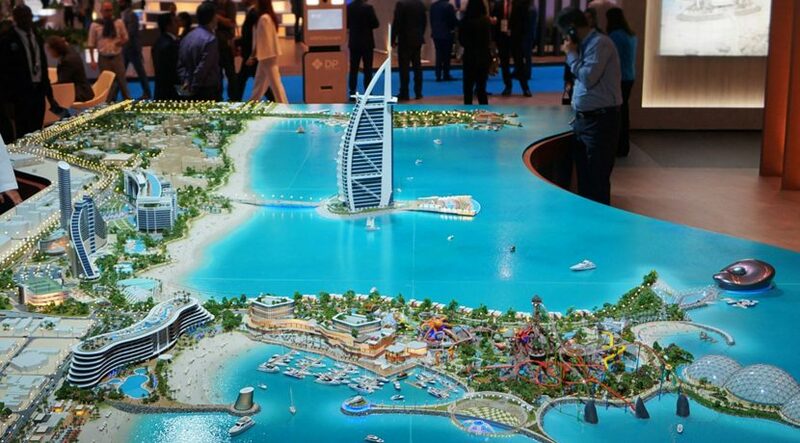 And at Mohammad Bin Rashid Al Maktoum City, it has added a “crystal lagoon” at its landlocked District 1 one project. “The crystal lagoon was the closest to a beach environment, it isn’t all that costly from having a pool, and we can use potable water,” said Al Khayat. “People were saying there is no way we can sell it. But I can tell you that in a community of 600 villas and mansions, we have sold more than 500 in a year and a half. And none of these are priced less than Dh10.5 million. And with Marsa Meydan, make that “affordable luxury” as well. Marsa Meydan in Jebel Ali will cover 17 million square feet. The townhouses and villas will take 24-36 months to build, while the dredging of the canal would take about 18-24 months. Future features will include a boulevard and a centralised retail and F&B zone. The entire project could take about seven years to build. The first tenders will be floated early next year.